The release of the Mueller report is being portrayed in a stop-the-presses fashion. It’s all hype. Someone help me here, but I do not see what all the hoopla is about. I see it as an unwise investment of my time to sit around waiting for its release. Anybody who could smell the stink of a partisan political witch-hunt that this so-called investigation was from the beginning can pretty much guess what this report will contain. Suppositions, innuendos, and accusations supported by no evidence will likely dominate the report. He will leave it open-ended so Democrats can continue their baseless claim that impeachment is still a possibility. It is important to recall that Special Counsel Robert Mueller was tasked with investigating whether then candidate and now President Trump and his campaign colluded with the Russian government to steal the 2016 election and, now listen to this because this is key, “other related matters.” If you take into consideration the people who were charged as a result of this probe, it spent more time on “other related matters” than it did on actual Russian collusion. Why? Because there was no evidence of collusion from the beginning. Many of those indicted were charged with process crimes like misremembering during FBI questioning or illegal activities not associated with the Trump campaign. Some of the indictments included tax evasion, lying to Congress, financial fraud, money laundering, identity fraud, and failing to register as an agent of another government. These are some of the more serious indictments. None of these charges had anything to do with Trump colluding with Putin to steal his 2016 election win. Interestingly “other related matters” will undoubtedly not include the role that people at the highest levels of the FBI played in trying to stop Trump from becoming the 45th president of the United States. This was where the real collusion occurred when confidential reports were leaked to the national media to bolster their corrupt activity, where a known un-vetted and unreliable dossier paid for by the Clinton campaign was used as the basis of a FISA warrant to spy on the Trump campaign. As a law enforcement officer, I have applied for search warrants. You have to swear under oath in the affidavit portion of the application that the information or evidence you use is true and correct and if you use an informant like Christopher Steele you have to state that the informant is reliable and that he or she has provided information in the past that has been shown to be truthful. Steele had been fired as an FBI informant before his dossier because of his leaks to the media. This guy had an agenda. He was more than a former British spy. He was a political animal who did not want Trump elected president. The FBI knew that when they went to the FISA Court. The FBI knew or should have known about the tainted nature of this dossier. By the way, when filing the affidavit, you raise your right hand and swear that the information you are giving is true to the best of your knowledge so help you God. Think any of that will be included in Mueller’s report under the any “other related matters” part of his task? Do you think Mueller will include in his any “other related matters” all the leaks that came out of his investigation? Don’t hold your breath on any of this stuff. 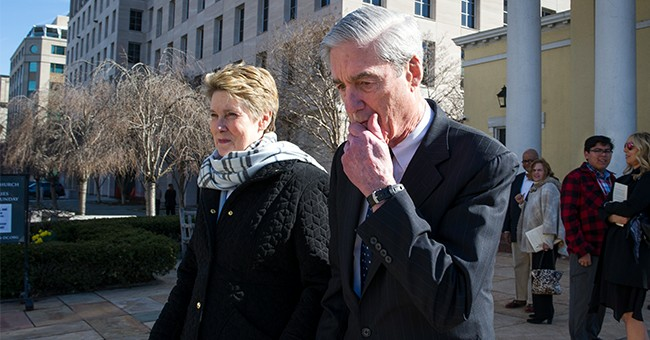 Democrat politicians and their propaganda machine aka the liberal media will contort everything in Mueller’s report to try to make political hay to delegitimize Trump’s convincing Electoral College win. Trump handled this perfectly. He let this shameful investigation go on to its conclusion taking swipes at it periodically to remind the American people what was going on here. Mueller’s report will serve as another D.C. rabbit hole for the liberal media to take the American people down for the next several months to distract from how dysfunctional our government has become. While issues like the humanitarian crisis at the southern border, the impending debt ceiling discussion, and the nation’s crumbling infrastructure need to be addressed, things that the American people genuinely care about, career politicians in our nation’s capital continue to engage in sleazy political theater.